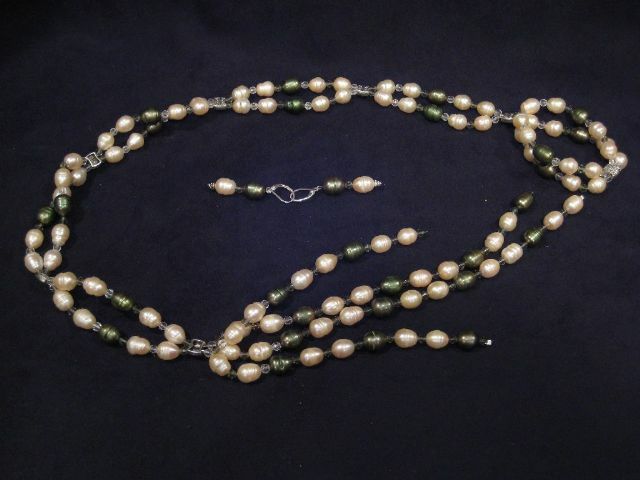 Set made with sterling silver and two color pearls. Unique design with two lines and special front closure. 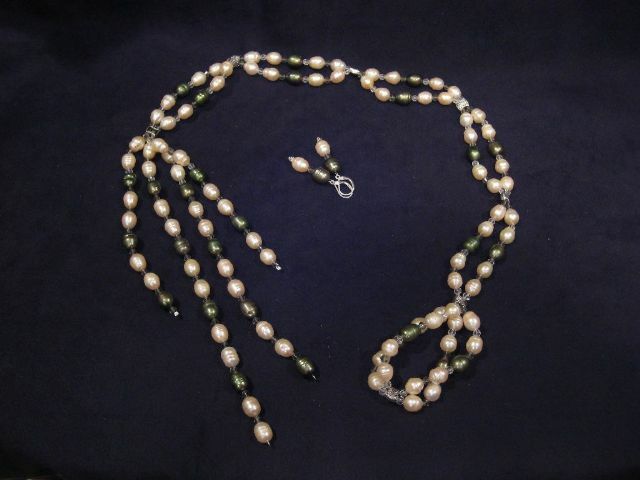 Comes with matching earrings with a silver hook.